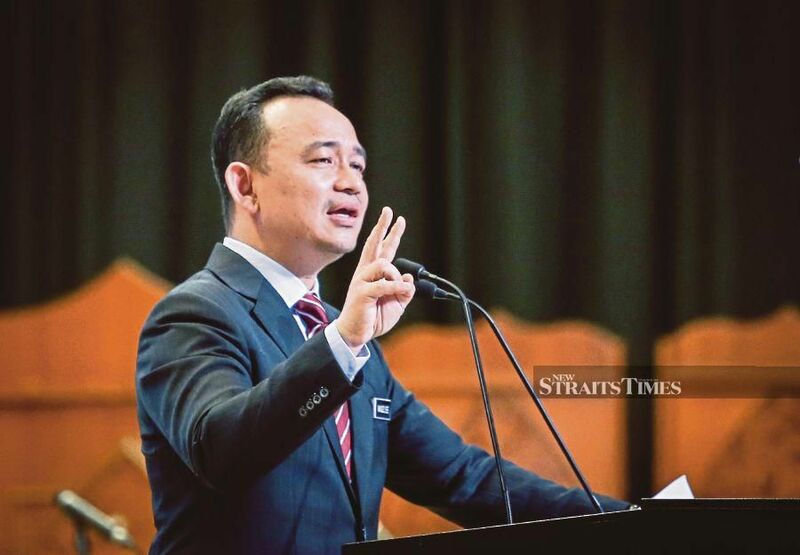 “Eventhough its role and functions remain the same, several programmes within it will be enhanced in terms of quality,” Dr Maszlee said, adding that the decision was made by the Cabinet to make the programme more competitive. HE was an adventurous and independent toddler who loved spending time in the great outdoors. That was when Farin Mikhael Farid, who turns four this year, resided in Texas in the United States. 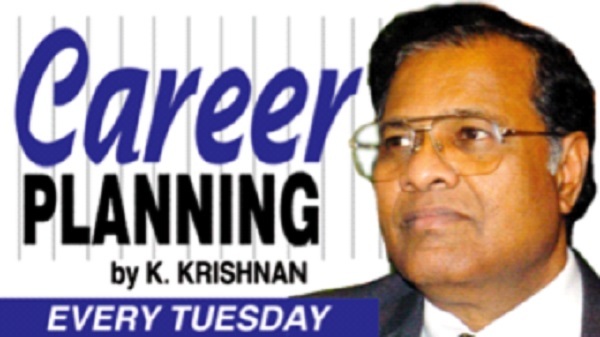 In 2017, his family moved back to Kuala Lumpur, Malaysia for an opportunity in career advancement and that was when his behaviour took a 360 degree turn when he struggled to adjust to life here. From being a “curious little explorer”, Farin Mikhael became aggressive and clingy. Participants get to play with sand, mud, water, paint and take part in many fun outdoor activities that will spark their development. “The relocation took a big toll on him and he began to withdraw himself from society. People raised concern on how he behaved wherever we went. He became timid and anxious up to a point he will scream and throw some serious tantrums when he felt threatened with unfamiliar situations,” said mother Nina Syafina Mohamed Shukor, 28, who was working as an engineer in the US. Devastated to see the drastic changes in Farin Mikhael, the mother of two resorted to multiple methods – including consulting a therapist, enrolling into different schools – to return her eldest son to his former cheerful and active self. “He hated therapy and refused to cooperate. Then I introduced him to outdoor messy play. It was a miracle to see how he began to channel his energy through play. It took us about six months with constant commitment to finally see him shine again,” said the engineer-turned-fulltime-mother. This inspired Nina Syafina to start WhatAMess Kids, a company that organises outdoor programmes for children (10 months to seven years-old) based on creative messy play. The activities are conducted on a weekly basis. Activities for special needs children are conducted as well. “All our programmes, which are held in a safe, controlled environment, are designed for play therapy and sensorial development. Children get to play with sand, mud, water, paint and all sorts of activities that will spark their development. 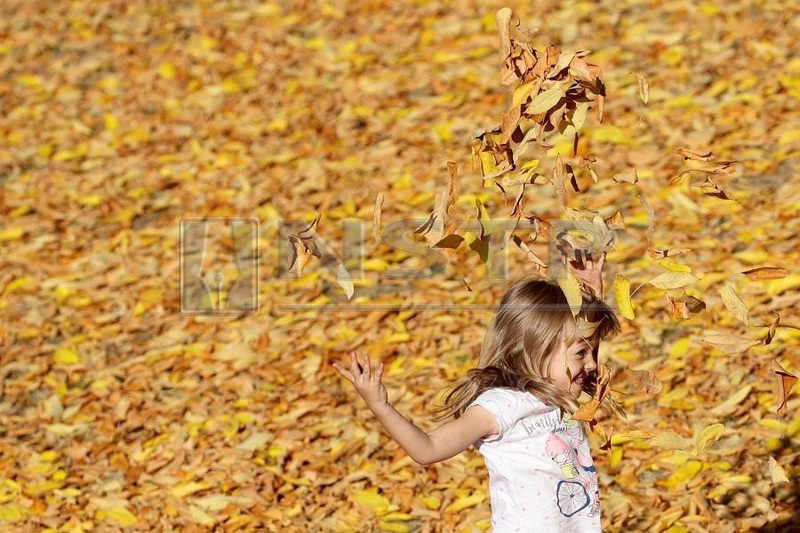 “Playing is crucial for children seven years and below to develop confidence. Putra Shaffy Firaas (second from left) and mother nur Fairuz bonding through play. “It also enables them to pick up valuable life skills such as resilience, bravery, curiosity, adaptability and social skills that they can’t get from formal education,” said Nina Syafina, the creative director of WhatAMess. She added that WhatAMess will soon be opening an outdoor sensory park in Kuala Lumpur. Parents, she said, gave positive feedback but one in particular stood out. “There was this sweet little four-year-old boy who wasn’t doing well in school, showed no interest and was unable to focus in whatever he did, until he joined messy play activities. “We noticed that he became a completely different person – curious, adventurous and would actively participate in the activities,” she shared. Noting that the concept of learning through play is relatively new in Malaysia, she said it is time for parents to “strategise” on current teaching methods so that a well rounded generation that can strive in school and out of school can be raised. “Play is never a waste of time and money,” she said, adding that it is important for parents to be “part of the equation” in a child’s development journey. Nina Syafina (right) believes that play is never a waste of time and is crucial in a child’s development. “Not all parents have the opportunity to have playtime with their children, thus we create a platform where parents get to spend solid time to play with them under a controlled environment,” she said. Parents Naleni Selvaraja, 38, and Nur Fairuz Mahusin, 36 – both who have sent their children to take part in WhatAMess’ activities – shared Nina Syafina’s sentiment. Naleni, who is expecting her second child, enjoyed watching her son, Sajjviin Saravanan, three, “make a mess” during outdoor activities organised by WhatAMess as well as other establishments. “He knows that it is alright for him to do so at such activities, and he knows the house is not a place to make a mess in,” she said. Playtime, she added, helped develop Sajjviin’s communication skills besides enabling her to realise he has a knack for transportation vehicles. “Children imitate only what they see in vision. Parents wouldn’t be able to tell the internal talent of children – each one is special with various talents. “I think these activities are brilliant as they keep the children occupied as well as allow their creativity to flow,” said the finance analyst. She encouraged parents to sign their children up for more outdoor activities. “I find Sajjviin to be happier when he is spending time outdoors,” she said, adding that outdoor activities were also a great “distraction” from electronic gadgets. “It is hard to prevent children from using gadgets because we are also using them. If we keep him in the house with a gadget, he might not learn as much as when he is exposed to a real thing,” said Naleni. Enrolling her only child Putra Shaffy Firaas Shah Fezan, 7, into WhatAMess’ activities was also Nur Fairuz’s way of keeping his contact with electronic gadgets to a minimum. “He needs to know that he can have fun outdoors. Besides, it is also a good bonding time between parents and the child,” said the mother of one. Nur Fairuz encouraged parents to adopt a more open mindset towards learning through play. “Such programmes allow children to explore and express creativity freely because the environment at home does not allow mess. It coaxes the children to come out from their comfort zones, break out of their shells to get to know others, besides clinging onto the parents. This is good for only children like Firaas as he can mix around with his peers,” she said, pointing out that children nowadays often spend their playtime at indoor playgrounds in shopping malls. She also noted that programmes such as WhatAMess is a “2-in-1” where parents and child get to enjoy. “This programme is of course for the children to enjoy the fun, it is also a meeting point for the mummies to have a get-together. It is a destresser for mothers, especially those who are juggling packed working schedules,” said Nur Fairuz. On a more serious note, play therapy (see table for more information) is a proven method that allows children to discover how to express themselves through play. According to one of its pioneers Virginia M. Axline, “play therapy is a vital opportunity for children to ‘play out’ those feelings – hatred, loneliness, anger, fear, failure or even feelings of inadequacy”. Hils Learning principal Tracy Ho said the common misconception parents have towards play therapy is that they think it is teaching through play. “What play therapy does for the children is to provide a platform to express themselves and tell their story, it’s not to help them improve their academic results directly,” she pointed out. There must be a reason why a child is not falling for adults’ tricks to do academic work and are not responding to other interventions, she noted. “Play therapy is used to address the root cause of the issue, which is more or less an emotional blockage to learning. “It is also about letting children try new things and taking risks rather than saying I don’t know how to do it so I’ll avoid doing it, or completely shutting down from a particular subject or activity that doesn’t tickle their fancy,” she said. Ho added that play therapy is especially helpful to children who have experienced some form of trauma, were bullied, or struggle with self confidence because they have learning difficulties or are struggling academically. “It is much more helpful than thought counselling especially for young children who may not be able to pinpoint the exact emotion they are feeling. “Through play therapy, they are able to express their story through toys (characters),” said Ho, a qualified and registered play therapist at Play Therapy International, Academy of Play and Child Psychotherapy and Play Therapy United Kingdom. Play therapy is also helpful to those who have language development delays or are on the autism spectrum because they can tell their story without the need for them to talk, she added. Hils Learning is a centre in Kuala Lumpur that specialises in providing learning support services to children. It offers services from educational testing, learning support, social thinking, counselling, training programmes, play and filial therapy, among others. Play therapy also ties in well with social thinking, which Hils Learning also provides. Zac Mu’tamir, the centre’s expert in developing social awareness in children, noted that social thinking can help a child understand verbal and nonverbal social cues; understand and regulate emotions; foster and maintain peer relationships; work in a group; comprehension; understand a different point of view; and initiate and maintain conversations. He said he goes by his “bible” – the Zones of Regulation (see table) to help children express themselves better. “We get a lot of children who come to us not knowing how to express themselves. They will have a meltdown, break something or shut down because they don’t understand how to tell an adult what’s going on. “We teach them how it feels like and what your body does when you are angry, or other emotions. Does your heartbeat race, do you clench your fist when angry? This way, children can better identify the emotions and body language tied to it, then we move onto helping the child calm down,” said Mu’tamir who was trained under Michelle Garcia Winner in the Social Thinking® Clinical Training Programme 1A in Santa Clara, US. However, Ho recommends filial therapy as the best way to help a child. “Filial therapy is a relationship therapy in which the therapist uses the parents as the main agents of change in the lives of the children. “Filial therapy has the highest efficacy. When parents apply what they’ve learnt from it at home, it permeates into the family system which is very powerful. However, filial therapy requires effort, time and commitment from the parents,” she said. She explained that in filial therapy, parents receive training from a registered play therapist to conduct special non-directive play sessions with their children. Initial play sessions are held under the therapist’s direct supervision. Once parents are competent and confident in conducting play sessions, the therapist supports them in transitioning to unsupervised play sessions at home. Take a holistic approach to bringing up children. Malaysia wants to emulate Iceland, which changed the law in 2002 to introduce something similar and has since recorded a decrease in the incidence of teenagers drinking, smoking and taking drugs. The Nordic country actually relied on several other measures as well in making that positive change – and it is our hope always that the government tackles everything holistically – but because Deputy Prime Minister Datuk Seri Dr Wan Azizah Wan Ismail mainly spoke about the possibility of a children’s curfew here, that is what people focus on. The idea that it may one day be illegal for our children to be outside on their own at certain hours of the night, has definitely grabbed our attention. We can be sure that everybody has an opinion on the matter because it involves our kids and their freedom of movement. Naturally, there is both support for and opposition to such a move. We can expect a vigorous debate whenever the proposal is discussed. But another piece of news that came out last week must be regarded as equally important. On Wednesday, The Star highlighted that an infographic in a Year Three textbook has elements of victim blaming although it is meant to teach students to protect their modesty – the Bahasa Malaysia phrase translates literally to “protect the modesty of her sexual organs”. The infographic offers guidance on how girls can protect their modesty. Tip No. 1 is on the choice of clothes, which suggests that how a nine-year-old girl looks can invite sexual assault. The next part is on what happens if a girl does not protect her modesty. According to the Physical Education and Health Education textbook, she will dishonour her family and she will be ostracised. The Education Ministry acknow­ledged that the infographic can be seen as blaming the victims of sexual misconduct and said following complaints, it had responded immediately to correct the textbook. Deputy Education Minister Teo Nie Ching said her ministry would study how to prevent mistakes in textbooks. It was good that the ministry acted quickly and Teo’s statement provides some comfort. But have we not heard all this before? Over the years, there have been many cases of people pointing out grammatical and factual errors in books used by schoolchildren. And we have often been assured that the textbooks are selected according to procedure. In May 2017, when responding to an article in the Educate section of Sunday Star, the ministry’s Textbook Division said all school textbooks used by the ministry undergo a stringent checking process before they are distributed. The division added that the textbooks were “produced professionally” with facts taken from authentic and credible sources. The phrase “quality textbooks” comes up frequently in the division’s vision, mission and client charter. And that is the way it should be. But this latest textbook issue goes beyond carelessness and flawed research. Injecting victim blaming and gender bias into schoolbooks is a form of miseducation. We cannot help but worry that there may be more of such bad judgment tucked away in other textbooks. When we send our children to school, we hope that they will receive lessons and experiences that will expand their minds and feed their souls. We want them to be enlightened on the value of sensitivity, inclusiveness and respect. If they instead have in their heads ill-conceived notions – for example, that the victims of sexual misconduct are often at fault – our kids may eventually find themselves unable to face the world with empathy and compassion. 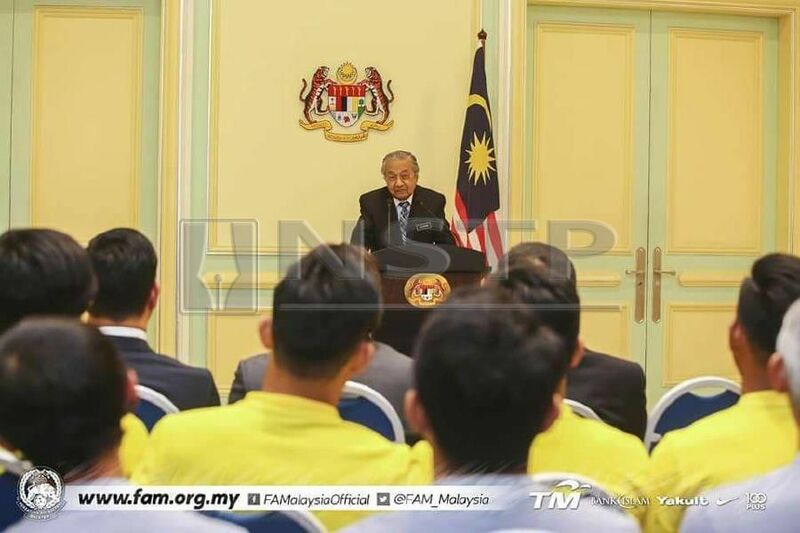 PUTRAJAYA: For Malaysia to join the ranks of developed countries and to be the tiger of Asia again, it should take corruption seriously, Prime Minister Tun Dr Mahathir Mohamad said. “I think it is about time for Malaysia to join the list of developed and capable countries and let the world know that we are a strong nation that respects democracy and the rule of law,” he said. In his speech at the Sheikh Tamim Hamad Al Thani International Anti-Corruption Excellence Award presentation he said it was incumbent upon Malaysians to ensure efforts to improve governance and introduce anti-corruption initiatives intended at bringing an end to corrupt practices and abuse of power. “We are not proud that at one time that Malaysia was described as a kleptocracy. “We are today pulling all stops to not only remove the tag but also to remind all in Malaysia that corruption is not something to be tolerated. It should be treated with disgust and anger,” Dr Mahathir said. Also present was Qatari Emir Sheikh Tamim Hamad Al Thani. The Prime Minister said only by reducing corrupt practices could the government and nation move forward. Malaysia and Malaysians, he said, had made history in its May 9th election when the coalition that ruled since independence was voted out. “Without doubt, it was the disgust for corruption that led the majority of Malaysians to stand up and vote out the previous administration,” he said, adding that corruption was an awful thing, one that could bring irreparable damage to society and the nation. “Therefore, it is not the people who engage in corruption who we should look up to, but instead, we should celebrate the people who are working to fight it every day, which is why we are here today. “The recipients of this year’s awards have done outstanding work through academic research, creativity, lifetime engagement, and innovation in combating corruption in their respective communities. One of the recipients was Nigerian former chairman of the Economic and Financial Crimes Commission (EFCC) Nuhu Ribadu for the Lifetime/Outstanding Achievement award. He said such award sent strong message to the corrupt and those fighting corruption. “When you fight corruption, it fights back,” he said, adding he had lost many of his friends in the fight against corruption. Nuhu was reported to have “taken” US$15 million that was offered to him. But he used it as evidence to nail the perpetrator. The award ceremony was organised by the Rule of Law and Anti-Corruption Centre (ROLACC) in Doha Qatar with the support of United Nations Office of Drugs and Crime (UNODC). The Award is to promote the importance of tackling corruption around the World and encouraging the importance of the decisive measures stipulated in the United Nations Convention against Corruption by collecting and disseminating creative and distinguished related efforts in fighting corruption and present them with awards in a public event. By Azura Abas, Hashini Kavishtri Kannan and Zanariah Abd Mutalib. Teo (fifth from left, front row) with the champions from SMK Convent Kedah. THIRTY to forty percent of Malaysian children aged one to 10 are not getting the right nutrition, with one in five being overweight or obese, an independent survey conducted by Dutch Lady in 2013 found. With over 19,000 children surveyed, the study further found that a high percentage of children are vitamin D deficient and have low levels of physical activities. and MyDMBS (Drink.Move.Be Strong) to educate and recognise primary and secondary school students’ efforts to improve the quality of their surroundings to boost fitness levels, while emphasising on cleanliness, health and safety. The programme was temporarily halted in 2009 and relaunched in 2015 with Dutch Lady Malaysia as the ministry’s strategic partner. Deputy Education Minister Teo Nie Ching said the programme is designed to impact students’ development, schools’ physical environment, academic performances and students’ attendance. “The 3K Awards is further strengthened with the MyDMBS campaign, an initiative by Dutch Lady Malaysia to prevent the transmission of non-communicable diseases among students, increase their awareness on the benefits of consuming nutrients like milk and encourage students to do physical activities. “This year, 200 primary and secondary schools participated in the 3K Awards and MyDMBS campaign, with the involvement of 200,000 students and 10,000 teachers,” she said at the award ceremony on Wednesday. Teo hoped more schools would get involved as the 3K concept is important. Dutch Lady Malaysia managing director Tarang Gupta said the quality of entries for the programme this year was “impressive”. “It’s a sign that overall, students’ performances and health awareness have improved,” he added. SJK (C) Lai Meng, Kuala Lumpur and SMK Convent Kedah were crowned champions of the 3K Awards programme under the primary and secondary school category respectively. Both schools walked home with a cash prize of RM5,000 each. KUCHING: The Education Ministry will simplify the registration process for pupils without citizenship for admission to government schools, said Deputy Education Minister Teo Nie Ching. She said the ministry had decided that children without citizenship needed only produce their birth certificates, adoption papers or court order to enrol in government schools. “If they do not have these documents, they can get verification from the community leaders or their people’s representatives,” she said after officiating a ceremony for the Gate of Alumni at SMJK Kuching High here yesterday. She said in the case of children without citizenship, but with one parent who was a Malaysian citizen and had a birth certificate, would be allowed to enrol in government schools. The new conditions would be implemented in January and the students would be allowed to sit for public examinations like Ujian Pencapaian Sekolah Rendah, Sijil Pelajaran Malaysia and Sijil Tinggi Pelajaran Malaysia, said Teo. “The move is because the government wants to provide formal education to all children,” she said. She added that parents had up to two years to provide necessary documents. Teo said the main reason children did not have citizenship was because their parents did not register their marriages before the children were born. Aspiring ECCE educators from SEGi posing for a group photograph. IN LINE with rising demands for improvements in early childcare services, the Ministry of Education has made it a mission to ensure that all Early Childhood Care and Education (ECCE) educators have the minimum qualification of Diploma in Early Childhood by 2020. Entry requirement is SPM/STPM/UEC. The programme with its flexible learning hours is suitable for in-service teachers and can be completed within two-and-a-half years. Graduates can then opt to further their studies with the three-year honours degree programme in Early Years Education (BA EYE) in collaboration with University of Greenwich, UK. Degree students will have the opportunity to undergo teaching practicum (Workplace Experience) in both Taska and Tadika. E-Bridge Pre-School Penang’s stimulating environment makes learning fun. E-BRIDGE Pre-School Penang’s ‘Learning through inquiry’ curriculum framework allows children to learn through play and have a say in what they want to learn. Kids are encouraged to ask questions, then think about solutions while teachers serve as facilitators. While most schools in Malaysia still use the old academic approach that overemphasises testing and memorising, E-Bridge recognises that it is more important to be able to apply information. For example, its integrated bilingual approach to learning English and Mandarin encourages children to use both languages. Its centres on Penang island are at Arena Curve in Bayan Baru and Jalan Pangkor in George Town. E-Bridge does not use standard textbooks or workbooks to teach. Instead, teachers organise projects and activities where children can learn by applying. For example, instead of learning maths by completing a worksheet, children can apply maths in a supermarket role play scene by adding up the cost of the items in their shopping basket. This ‘integrated learning’ approach teaches a child many things in one activity. In the example above, apart from numeracy and addition, they also learn literacy (by reading the labels on the items) and social skills (interacting with peers). With this open-ended approach to learning, parents might wonder if their children would be able to adapt what they learnt to the more structured learning in national primary schools. You are currently browsing the archives for the Early Childhood Education category.